We are one of the leading manufacturer and supplier of Casual pants, We are suppling wide range of quality products with efficient pricing. To meet the various requirements of the customers, we are involved in offering a wide assortment of Men's Stylish Pant. We are one of the leading supplier of Casual Pants and we are offering wide range of quality products with efficient pricing. 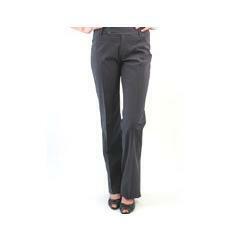 With vast industrial experience, we are involved in offering a wide range of Ladies Casual Pant. In order to keep pace with never ending demands of the customers, our company is instrumental in offering Ladies Casual Pant. YOU WILL FIND WITH US DAILY UPDATES IF NEW COLLECTION OF MENS WEAR & OTHERS. Weare specialized in making end product of Casual Pants. Weoffer our clients Casual Pants in knitted and woven fabric with varied selection ofstructures, twills, satin, value added, yarn dyed. The Materials usedsuper fits this product in economic to club class. Our craftsmanshipmakes this fabric more tempting through our master cutworks, cleanembroidery and varied washes. Rn vests made with super fine combed cotton, fabric deals with the better comfort to fit the shape and hugs the body finely.